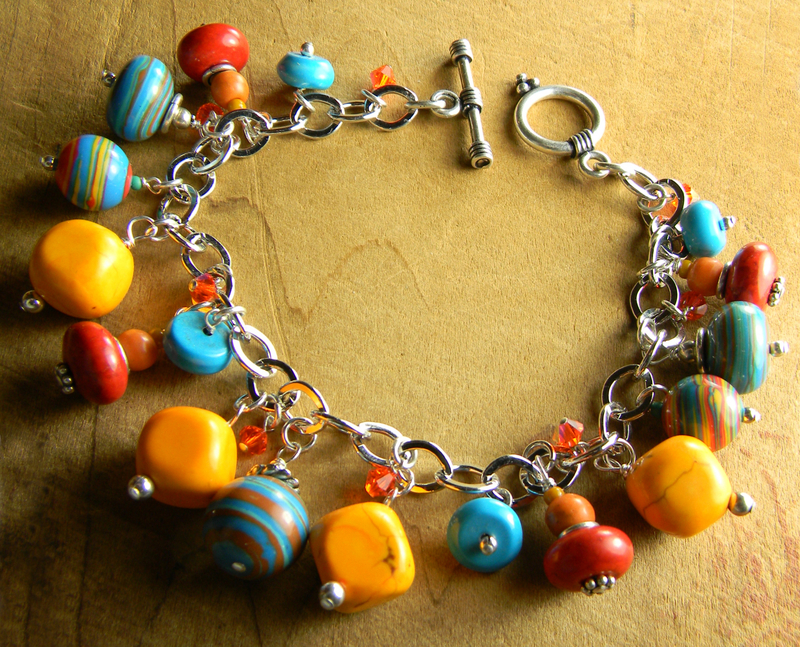 Wildly colorful Fiesta Bracelet from my Tejana Collection of Mexican folk art jewelry. 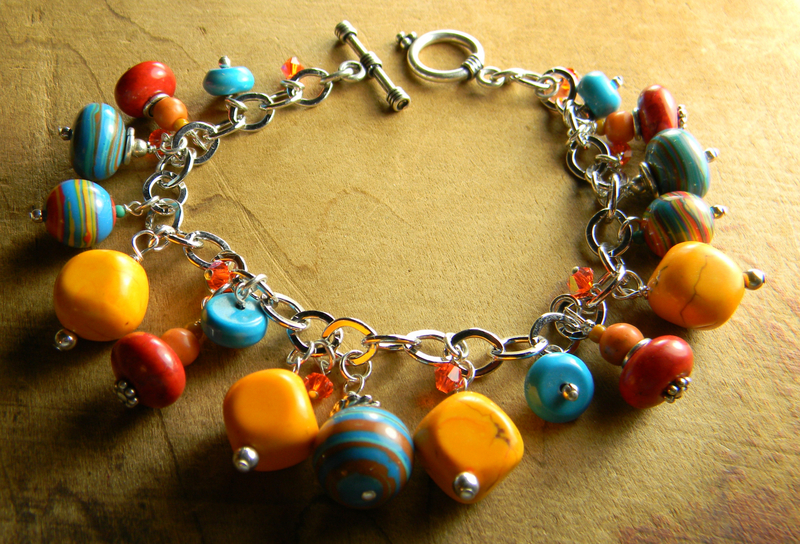 Orange and red magnesite, round casilica, and blue chalk turquoise rondelles, with sparkling little Swarovski crystals in hyacinth (bright orange), make up this bracelet that is just looking for a party. 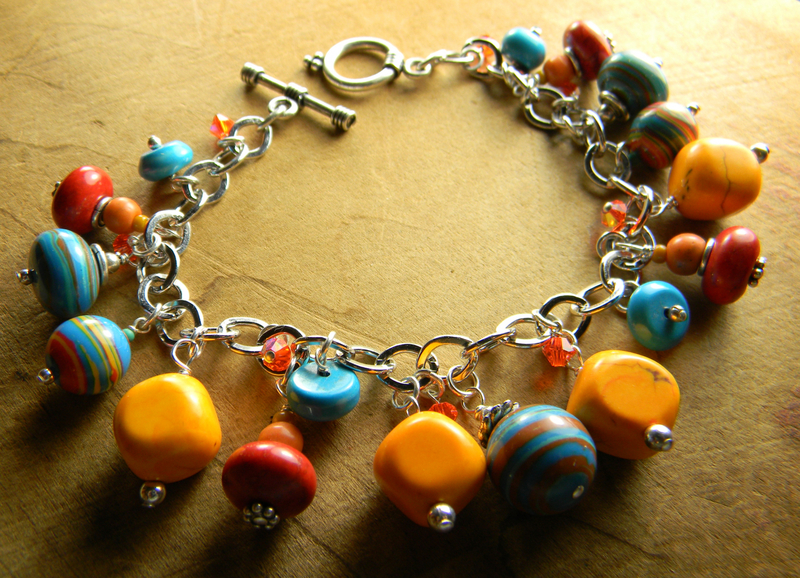 All these luscious beads are dangles on a heavy Sterling silver chain, with a Sterling silver toggle finishing the bracelet. The bracelet will fit best on a 6.25 to 6.75 inch wrist.